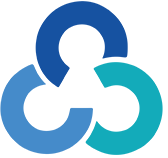 WHO SHOULD ATTEND Urologists and general surgeons with some experience in urologic procedures. A basic knowledge of laparoscopy is also required. This course is devised to cover all these topics in the context of majorlaparoscopic urological procedures. COURSE OBJECTIVES The objective of the course is provide the learner a thorough understanding of all the elements outlined in the course summary. ACCREDITATION 15.5 CME accreditation points will be awarded for this course. Dr. Franco Gaboardi is one of the pioneers of minimally invasive urological surgery in laparoscopic and robotic techniques. Specializing in Urology and Andrology he began his first laparoscopic experience in 1992 by performing laparoscopic lymphadenectomy in prostate cancer. 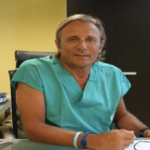 In January 2001 he operated the first patient in Italy of laparoscopic radical prostatectomy and in September of the same year the first patient of laparoscopic radical cystectomy with neovascial ileal. Three years later he performed the first robotic radical prostatectomy in Italy and subsequently laparoscopic prostatectomy with only one umbilical access. 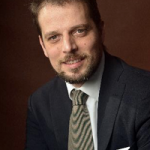 Dr. Salvatore Smelzo is currently working alongside Dr. Franco Gaboardi in the department of Urology at at San Raffaele Hospital in Milan. Prior to this he did his fellowship in Laparoscopic and Robotic Urology Surgery in France. 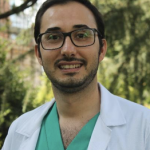 He completed his residency in Urology in the University of Naples Federico and has published a number of articles on Morris Syndrome. Dr. Nazareno Suardi completed his degree in Medicine and Surgery in July 2003 from the Vita-Salute San University Raffaele. Following his graduation he enrolled in the School of Specialization in Urology which was followed by his fellowship and clinical fellowship after which he obtained his title from the European Board of Urology.